Rainmaker 2018 concluded last week at a roof-top party on a beautiful summer night in central London. It had been a truly excellent day of presentations, networking and some World Cup football. 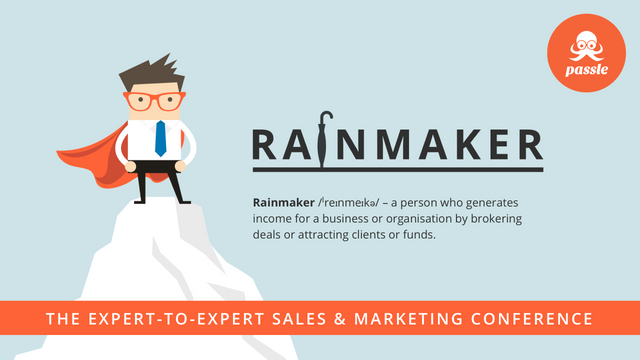 The premise of the event was to look at how organisations can create an environment in which Rainmakers “a person who generates income for a business or organization by brokering deals or attracting clients or funds”, can thrive. The day kicked off with Andrea Clatworthy, Head of Account Based Marketing (ABM) at Fujitsu speaking on “How to run a successful Rainmaker Program”. 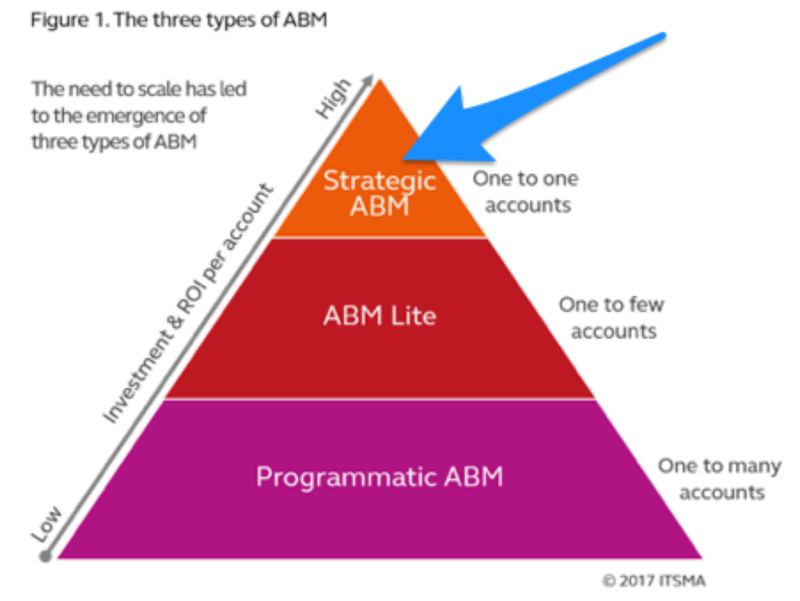 There were many important messages in her presentation that are summarised in Tom’s post however, one of the most important was drawing a distinction between the different meanings of the ABM label using this diagram from ITSMA and making it clear that Fujitsu’s approach was very much in the top “strategic” portion of the triangle; where people are more important than technical process. Changing the focus from the structure of a Rainmaker program, Stephen Waddington took us through his journey from Journalist to being acknowledged as “Mr PR” and the steps he had taken to create a brand around his expertise. 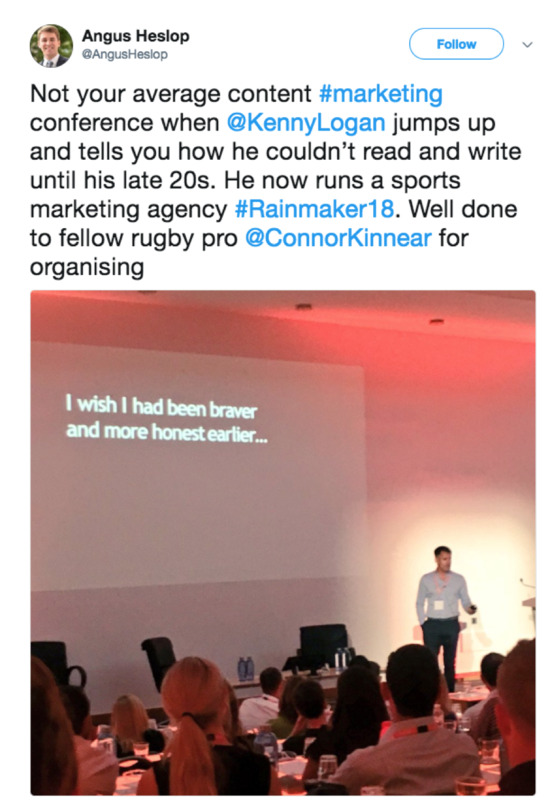 His central point was that Rainmakers cannot build their reputation unless they have a voice and an opinion that other people can engage with. Stephen’s work-horse channel is his excellent blog wadds.co.uk which he has been publishing to for many years but he also stressed that stepping outside of his comfort zone and speaking at events which are not PR-industry get-togethers, where his opinions are challenged, was where he derived the greatest business benefit. Kenny’s journey was a great inspiration to everyone present and brought a touchingly human aspect to an individual who could easily rest on his many sporting and business achievements. Kenny instead uses them to juxtapose how hard it is for all of us to stand up and have a voice, in full knowledge of our imperfections. He also demonstrated with great wit and anecdote, how essential it is that we do; not just so that you are counted but more, so others can understand and help you succeed. There was only one panel discussion at the event; featuring three leading figures in Consulting; Nigel Walsh (Partner at Deloitte), Stephen Ruff (BD & Alliance Manager at everis UK), and Leor Franks (Managing Director - Marketing & Communications at FTI Consulting). The topic in discussion was Rainmakers and Change. The key take-aways are summarised in this post by David Kirk who Chaired the session. The final presentation at Rainmaker 2018 was by the excellent Emma Dutton of Applied Influence Group. Emma spoke about how she and her colleagues found themselves using the influence techniques they learned during active service in Afghanistan not only on "people of interest" around the conflict but also within their own organisation. Emma's main insight was that the field of battle was the forge for some extremely effective techniques that are directly applicable for each us to drive positive business outcomes.